KZN LIQUOR LICENSE RENEWAL PROCESS: HOW TO APPLY FOR LIQUOR LICENSE RENEWAL. HOW TO APPLY FOR LIQUOR LICENSE RENEWAL. The KwaZulu-Natal Liquor Authority is advising all license holders that in terms of section 64 of the KZN Liquor Licensing Act 06 of 201O as amended – a license holder must apply for renewal SIX MONTHS PRIOR to the expiry date of the license. Please remember: Regardless of the system and problems at the KZN Liquor Authority, you are still responsible to adhere to the liquor act and to follow the required processes to renew your license as set out in the act. The new act requires all renewal applications to be submitted 6 months before the expiring date of the license. (i) The expiring date and the renewal submission date can be found on your license certificate. (ii) If you only have the official receipt – please check for the expiring date which is printed on the receipt and work 6 months back to determine the date of submission of your renewal application. All renewal applications for 2018 must be finalized and submitted by the 30th of June 2017 for the year 2018. 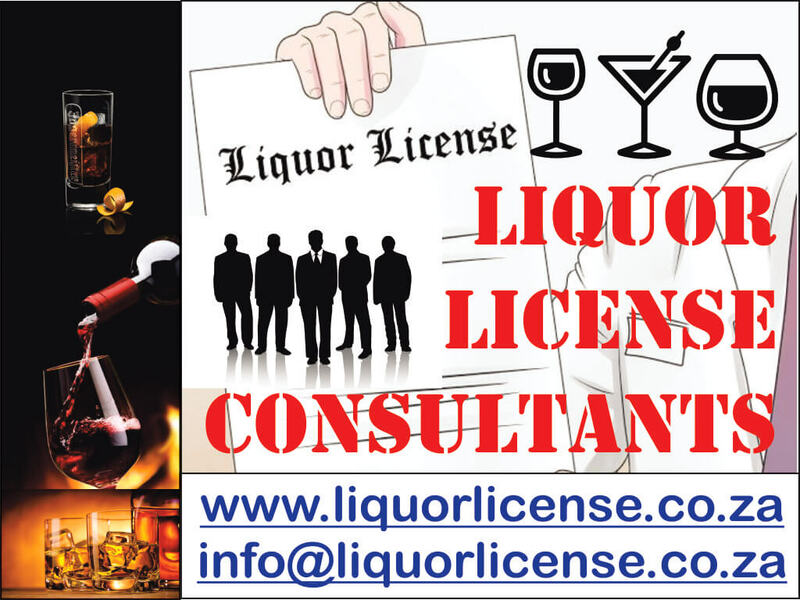 Documents Required for Liquor License Renewals Kwa-Zulu Natal, KZN. A certified copy of the current liquor license. Proof of Payment of Renewal Fees (Payment should only be done once the Liquor Authority issues you with a reference number). Valid tax clearance certificate – validity up to July 2017 – of the license holder must be supplied. SARS unfortunately does not issue a renewal tax certificate prior to the expiring of the current tax certificate. In such a case, you can supply proof on official SARS documentation that you have applied for the renewal. In cases where there are problems with SARS and there are no tax clearances, you will not be able to use letters from accountants anymore. You must supply official SARS documents as proof that you are dealing with your tax issues. As the transition period between the 1989 liquor act and the 2010 Act comes to an end on the 28th of February 2017 and you are submitting a renewal application in 2016 for the trading year of 2017, you must include your business license issued by the local municipality in the renewal application. If you do not have the business license in hand by May or June 2017 you must submit a copy of the official receipt issued by the municipality and a copy of the business license application with the municipality date stamp on as proof that you have applied for the business license. Premises that are located in dysfunctional municipalities where the municipality are not able to facilitate the issue of a business license must obtain a letter from the municipality clearly stating that the process of business licensing cannot be facilitated. The act requires that you submit a SAPS Issued Name Clearance Certificate valid for a period of 3 months from date of issue by the SAPS for each director, member, trustee, partner or holder if a sole proprietor when you submit a renewal application. The department has agreed that you may make use of the official government appointed agent – Afiswitch – which was appointed by parliament in terms of a directive published in Government Gazette number 29319 as published on the 27th of October 2006. Eventually the process will be streamlined to the extent that you will only be required to complete an indemnity for every year for a reprint for your renewal. If you however prefer your finger prints done at your local police station you must make sure that you apply for a Name Clearance Certificate and pay the necessary fees. SAPS will complete an SAP 91(a) form and will take your fingerprints. The SAPS station will send these away to the nearest clearance station and obtain the clearances – please make sure that you follow-up on this and that you have the results before of May / June of the current year / for next year / year of renewal. Once you have all the documents in for the renewal, contact your district office to get an address for hand delivery of your renewal application. PLEASE CONTACT THE KZNLA CALL CENTRE ON 087 232 2333 I 031 302 0600 TO OBTAIN A PAYMENT REFERENCE NUMBER AND CONFIRM ADDRESS OF SUBMISSION OF YOUR LIQUOR LICENSE RENEWAL APPLICATION. Reference Number – Insert the Reference Number received from the Liquor Authority Call Centre. PLEASE CONTACT THE KZNLA CALL CENTRE ON 087 232 2333 I 031 302 0600 TO OBTAIN A PAYMENT REFERENCE NUMBER. NB: Only cash deposits or electronic transfers will be accepted (NO CHEQUES). The license will only be issued upon receipt of all required documents from the license holder. A KZNLA inspector will conduct an inspection on your premises after receipt of your application to ensure that the license conditions have been met. Penalties for late payment of fees will be an amount equal to the renewal fee per month subject to a maximum penalty of three times the annual fee for every month that payment is late. If no payment is received after the third month after expiry, the license will lapse and will be cancelled.